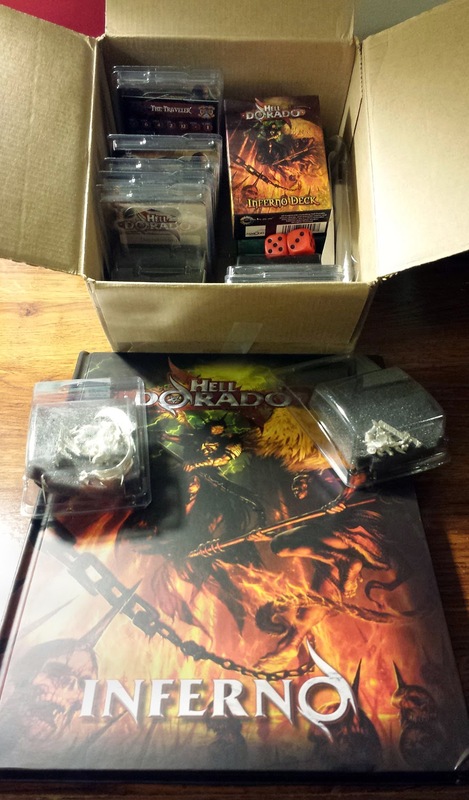 Chickhammer: Hell Dorado Kickstarter Arrived! Woop, woop! My Hell Dorado goodies are here! I wasn't even expecting them, as I didn't received a tracking number. But on my doorstep they were! Lots of goodies are in there- mostly Westerners. They're my faction of choice. I also nabbed a few Saracens for Casey since they had some good KS prices on them. Two small snags, though. I got one dude I didn't order, instead of one that I did (sent them an email, I'm sure they'll sort that out quickly). The second is more depressing- the book got kind of crunched in the mail. You can see the bottom right corner in the photo there- they all look like that. Thankfully the spine on my book in intact (not the case for my friend) but it's still pretty disappointing. The books were shipped in padded envelopes, so it's no wonder their corners took some damage. Regardless, I am stoked that they're finally here. They were due back in June, but due to a series of snags (including getting specially delayed-er-selected by customs for extra screening), they are only just getting here. I was too busy with other (Space Wolf) projects to be worried about it, but I'm happy to have them in hand. The book itself is quite lovely- the art is great. They also made the decision to switch to card decks instead of putting individual cards in each blister. This is a Really Good Idea. Saves them hassle and saves me from my old French versions of the cards with zero effort on my part. Two card decks (regular and Inferno) and you're good to play with any miniature in the range. All in all, the Hell Gate pledge was a good buy. I got the expansion book, 9 blisters of minis, and both card decks to update my old ones. Plus, they threw in some dice, a patch, and a measuring tape just for fun. They also gave backers PDF copies of the original rulebook and the Inferno expansion. I'm looking forward to playing some more games of this in the near future. Cipher got back to me, saying sorry for the mispack and that they're sending out the mini I am missing. Overall, a very good customer service experience. I should have taken a picture of mine. I went Double Hell Gate and got a mess of stuff: the book, both card decks, templates and tokens, a starter (Westerners) and, like, 15 blisters. By swapping in the book and and starter and stuff, I got kind of a lot without letting the number inflate. Besides the book getting smashed, while digging up my older Hell Dorado stuff, I noticed that I know have double Travellers (well, really triple, since there are two versions of her); and that goof's on me. I'm pretty excited about it: I'm glad that I can already play it painted (I think? ), because with Deadzone, Saga, and this I've got too many things I want to work on! 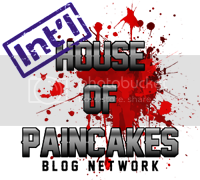 I skipped on the templates and I rather regret that. I got some base colors down on my Westerner's starter but nothing complete. I have some Saga and LOTR dudes to paint on up first. Doesn't mean I won't assemble these guys some afternoon soon, though. I look forward to seeing your painting for this. I have something like 300 miniatures scheduled to show up in the next 6 months. No idea what I'll do with any of them. I may have gotten a little Kickstarter crazy last year.